Malt-based health food drinks have been very popular in India for decades, none more so than Horlicks, widely consumed by children in their growing years as a health supplement. The iconic brand was invented by British-born William Horlick and his brother James in 1873 as a malted drink mix. As a lightweight non-perishable food supplement, it soon became popular among polar explorers. Later, it was used as an energy booster among soldiers in the first and second world wars. Indians got a taste of it through the soldiers who fought the war and brought Horlicks back with them. In a country where vitamin and protein deficiencies were commonplace, the powdered milk drink soon caught on among families who saw it as an essential nutritional supplement for kids. Over the years, its popularity grew and new brands such as Boost, Bournvita (Mondelez International) and Complan (Heinz) cropped up. But, Horlicks remained a market leader and over the years expanded from just being a drink for children to other variants, Mothers Horlicks, for instance. Horlicks has a rich history of more than 140 years, but its future destiny now lies with a new owner. Under an all-stock deal, Hindustan Unilever (HUL), the largest fast moving consumer goods maker in India, is merging GlaxoSmithKline Consumer Healthcare, giving it access to the iconic Horlicks as well as other brands like Boost, Viva and Maltova. Horlicks, which is currently owned by pharma major GSK Plc, will be owned by Unilever, the Anglo-Dutch parent of HUL. The deal values the GSK Consumer Healthcare business at Rs 317 billion and is the largest such deal in the FMCG space in the country. The share swap ratio has been set at 4.39 HUL shares for every one share held in GSK Consumer India. GSK and its group companies will hold 5.7 per cent in the merged entity, while Unilever's shareholding will stand at 61.9 per cent. Additionally, GSK will sell its 82 per cent stake in GlaxoSmithKline Bangladesh and other related brand rights for the consumer healthcare nutrition activities in certain other markets to Unilever, for which it is expected to receive around GBP 566 million in cash. HUL is already a strong player in the foods space, with brands like Knorr soups, Kissan tomato ketchup, Red Label tea and Bru coffee. Acquisition of Horlicks and Boost, which together account for almost 60 per cent market share, will give it instant leadership in the health food drinks category and also helps it leverage the health and wellness trend. “With this proposed strategic merger with GSK Consumer Healthcare India, we will be expanding our portfolio with great brands into a new category catering to the nutritional needs of our consumers,” said Sanjiv Mehta, chairman and MD of HUL. “I am confident that this merger will create significant shareholder value through both revenue growth and cost synergies,” he said. For the year-ended March 2018, HUL's revenue from foods and refreshments segments stood at Rs 63.90 billion. With the merger of GSK Consumer Healthcare, the turnover of the foods and refreshments business will top Rs 100 billion, making HUL among the largest in the business. “The deal pushes HUL among the market leaders in the only key category where it did not have market leadership (food and refreshments) unlike beauty and personal care, and home care where it is the dominant player,” said Krishnan Sambamoorthy, analyst at Motilal Oswal Financial Services. On a pure valuation basis, analysts give a thumbs up to the deal, expecting it to be earnings accretive to HUL in the medium-term. “The deal is EPS (earnings per share) accretive for HUL as it brings in incremental profit after tax of Rs 7 billion (13 per cent up as per FY2018 financials), while equity capital gets diluted by just 8.5 per cent,” said broking firm Sharekhan. However, there is some concern among marketmen over the slowing growth rate of the health food drinks category. According to market research firm RedSeer, the category grew at 10 per cent year-on-year till 2015-16, but volumes have remained stagnant since. Health food drinks was a $860 million market in 2017, which is expected to cross $1 billion by 2020, growing at a compounded annual growth rate of 5.6 per cent, it added. HUL remains optimistic. The company points to structural demand drivers in India, including a large and young population, rising affluence and disposable incomes and persistent nutritional needs, and sees huge potential for market development. India is among the largest markets for health food drinks, but overall penetration of the category is only 24 per cent and rural penetration is just 14 per cent. “HUL management has guided double-digit revenue growth for the acquired health food drinks portfolio in the medium-term...HUL management is confident of driving premiumisation, given its experience and success upgrading consumers across categories and GSK Consumer's promising super premium portfolio (especially protein products),” said analyst Rohit Chordia at Kotak Institutional Equities. Furthermore, the analyst notes that HUL's direct distribution reach is about three times that of GSK, which, along with its IT infrastructure, could help improve distribution and growth, especially in the hinterlands. Also, compared with its strong presence in the south and east, Horlick's market share and penetration is relatively weak in north and west, which HUL could grow. HUL also sees significant cost savings post merger, helped by common infrastructure, IT systems and workspace, supply chain optimisation, sharper marketing, efficient procurement of raw material and efficiencies in distribution. Full synergy benefits for the acquired portfolio could be around 800-1,000 basis points, say analysts. For the GSK, selling the health foods business is a part of its plan to increase investments and focus on other strategic interests, including its pharmaceuticals business. Another focus area for the London-listed firm has been consumer healthcare. Earlier this year, it had bought out rival Novartis out of their joint venture in the consumer healthcare space. 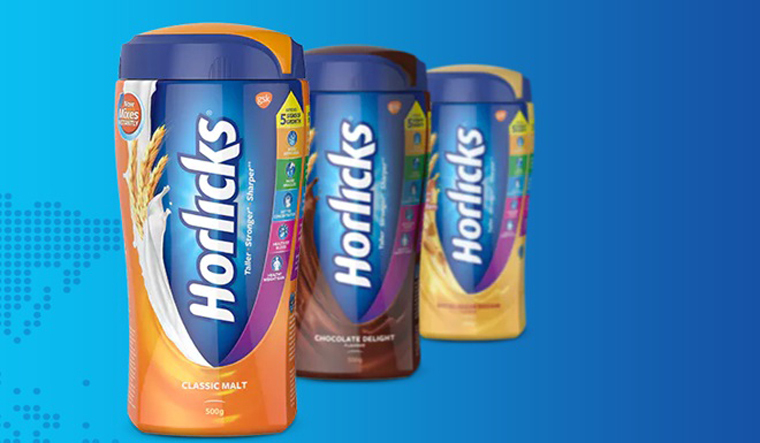 “Horlicks has made a significant contribution to GSK and to the health of consumers across India for many decades and we believe Unilever is well placed to maximise its future potential. Proceeds from this transaction will be used to support the group’s strategic priorities, including investing in our pharmaceutical business,” said Emma Walmsley, CEO, GSK. Even as it exits the health foods business, GSK said that India remained a key market.  The company will continue to invest in growth opportunities for its over-the-counter (OTC) and oral health brands in the country, which include Crocin, Eno antacid and Sensodyne toothpaste. Under an arrangement between GSK and HUL, the later will also distribute the OTC and oral health products under a consignment selling agreement for five years. Given HUL's distribution reaches over 7 million outlets, the OTC and oral health brands of GSK stand to get a big sales boost.